Price reduced! Seller is motivated! Property consists of 5 city lots and backs up to the Heartland trail. This 3-bedroom home provides privacy and country charm with the amenities, conveniences and utilities of the city. Many updates including newer furnace, windows, siding and roof in 2005. A new deck leads you into a spacious mudroom/breeze way consisting of huge closet and built-in cupboards. Lots of storage throughout the entire home. The kitchen is complete with a breakfast nook and pantry. The large bathroom offers double sinks and beautiful cabinetry. 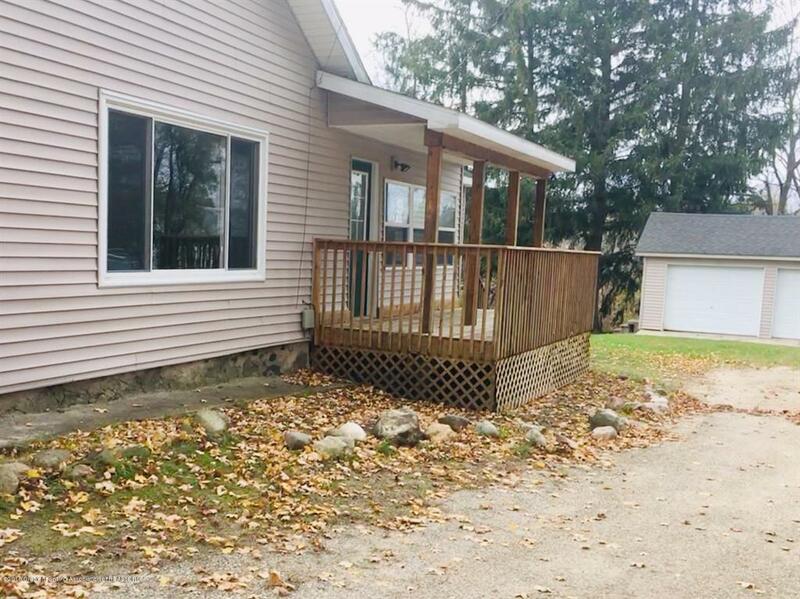 IDX provided courtesy of Realcomp II Ltd., via Century 21 Looking Glass - East and Greater Lansing AOR MLS, ©2019 Realcomp II Ltd. Shareholders.